I'm very happy with this purchase. It works flawlessly and the delivery was ahead of schedule. Thanks DAA. Geweldig product. Werkt zoals het hoort en een stuk sneller dan ik eerder zelf gedacht had. Een aanrader !! This new exciting product from Maglula is the most compact and versatile AR15 loader ever introduced. The StripLula will fit all plastic and metal AR15 magazines, clip onto the top lips and allow you to quickly and effortlessly load your mags. 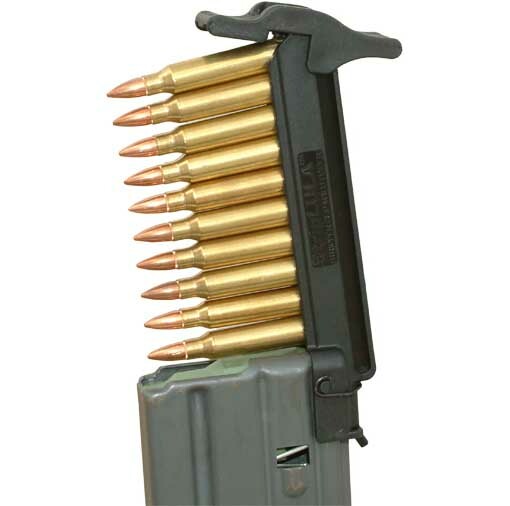 It can be used to load ammo packed in stripper clips (12 seconds to load 30 rounds) or it can be used to load individual rounds(40 seconds to load 30 rounds). 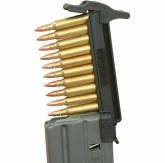 It can even be used as a simply unloader, allowing the unloading of a 30 round magazine in 15 seconds flat. If you shoot an AR15 – you’ve to have one of these!